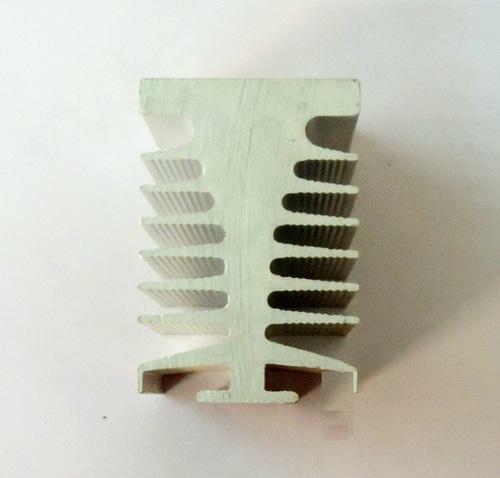 We are able manufacturer and supplier of Aluminum Heat Sinks. They are made using trusted raw materials obtained from reputed vendors. 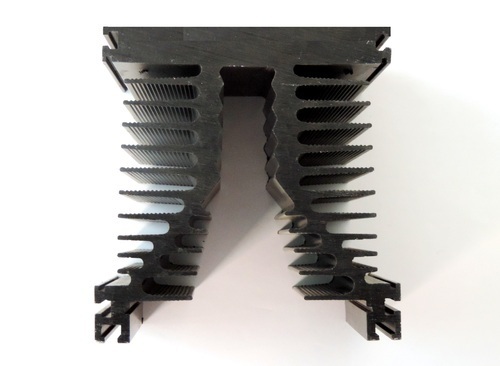 With huge technical knowledge & industrial experience, we are exclusively involved in offering a wide spectrum of Industrial Aluminum Heat Sink which reflects high durability and export quality. Offered range of products is used in various engineering and other allied industries. Further, the entire range is tested against various quality parameters and are available at market leading prices. Our Company has been successful in winning appreciation from the clients as one of the most prominent names in the trading of Heatsinks for the solid state relays. 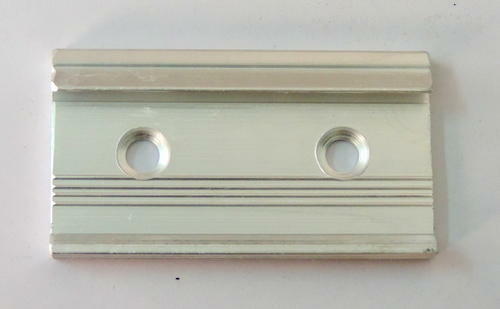 Owing to our ability to suffice clients requirements, we have made these products available at industry leading rates. The products manufactured by us are used in applications where heat dissipation is not dependent on designated supply of air flows. These products are fabricated using the best quality raw material. The model EEHS02 can be suitable for the relays upto 25 Amps in single phase and you can fit these heatsinks into panels by using the clamps (EECL02) which is the best support for the relays and best at quality also. Our Company has been successful in winning appreciation from the clients as one of the most prominent names in the trading of Heatsinks for the solid state relays. Owing to our ability to suffice clients requirements, we have made these products available at industry leading rates. The products manufactured by us are used in applications where heat dissipation is not dependent on designated supply of air flows. These products are fabricated using the best quality raw material. The model EEHS03 can be suitable for the relays upto 40 Amps in single phase and you can fit these heatsinks into panels by using the clamps (EECL02) which is the best support for the relays and best at quality also. Our Company has been successful in winning appreciation from the clients as one of the most prominent names in the trading of Heatsinks for the solid state relays. Owing to our ability to suffice clients requirements, we have made these products available at industry leading rates. The products manufactured by us are used in applications where heat dissipation is not dependent on designated supply of air flows. These products are fabricated using the best quality raw material. The model EEHS04 can be suitable for the relays upto 25 Amps in Three phase and you can fit these heatsinks into panels by using the clamps (EECL03) which is the best support for the relays and best at quality also. Our Company has been successful in winning appreciation from the clients as one of the most prominent names in the trading of Heatsinks for the solid state relays. Owing to our ability to suffice clients requirements, we have made these products available at industry leading rates. The products manufactured by us are used in applications where heat dissipation is not dependent on designated supply of air flows. These products are fabricated using the best quality raw material. 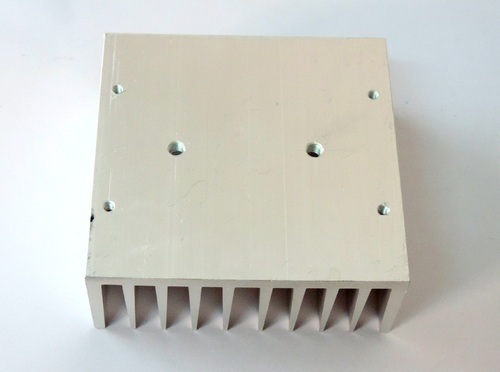 The model EEHS05 can be suitable for the relays having load current from 25-50 Amps in three phase and you can fit these heatsinks into panels by using the clamps (EECL03) which is the best support for the relays and best at quality also. Our Company has been successful in winning appreciation from the clients as one of the most prominent names in the trading of Heatsinks for the solid state relays. Owing to our ability to suffice clients requirements, we have made these products available at industry leading rates. The products manufactured by us are used in applications where heat dissipation is not dependent on designated supply of air flows. These products are fabricated using the best quality raw material. 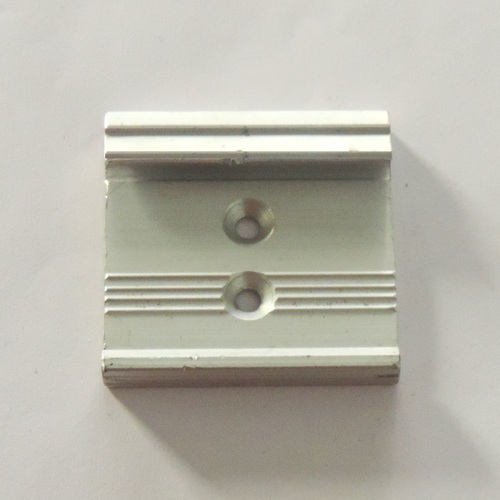 The model EECL02 clamps are suitable for the heatsinks "EEHS02" and "EEHS03". Suitable for heatsinks "EEHS02" and "EEHS03"
Our Company has been successful in winning appreciation from the clients as one of the most prominent names in the trading of Heatsinks for the solid state relays. Owing to our ability to suffice clients requirements, we have made these products available at industry leading rates. The products manufactured by us are used in applications where heat dissipation is not dependent on designated supply of air flows. These products are fabricated using the best quality raw material. 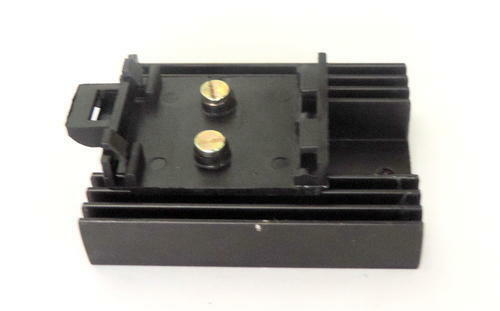 The model EECL03 clamps are suitable for the heatsinks "EEHS04" and "EEHS05". Suitable for heatsinks "EEHS04" and "EEHS05"
Our Company has been successful in winning appreciation from the clients as one of the most prominent names in the trading of Heatsinks for the solid state relays. Owing to our ability to suffice clients requirements, we have made these products available at industry leading rates. The products manufactured by us are used in applications where heat dissipation is not dependent on designated supply of air flows. These products are fabricated using the best quality raw material. The model EEHS01 can be suitable for the relays upto 25 Amps in single phase, and it even comes with the customized clamps which we have designed for cost cutting and best support for the relays, still best at quality. Our Company has been successful in winning appreciation from the clients as one of the most prominent names in the trading of Heatsinks for the solid state relays. Owing to our ability to suffice clients requirements, we have made these products available at industry leading rates. The products manufactured by us are used in applications where heat dissipation is not dependent on designated supply of air flows. These products are fabricated using the best quality raw material. The model EEHS06 can be suitable for the relays having load current from 60-110 Amps in three phase. Our Company has been successful in winning appreciation from the clients as one of the most prominent names in the trading of Heatsinks for the solid state relays. Owing to our ability to suffice clients requirements, we have made these products available at industry leading rates. The products manufactured by us are used in applications where heat dissipation is not dependent on designated supply of air flows. These products are fabricated using the best quality raw material. The model EEHS07 can be suitable for the relays having load current from 110-150 Amps in three phase. Looking for “HeatSink for Relays”?